Before I answer, I thought I'd provide some background information on a couple of key concepts as they relate to the question and linking in general. Writing articles is a common and basic link building method; most articles are between 400 - 700 words and use a couple keyword terms in the copy. Articles created by automated content tools don't win Pulitzer prizes and aren't meant to; they're written and dropped as a way to secure a lot links which hopefully pass link popularity or "link juice". Overall the tactic still works but works best when the content is dropped on "quality" pages. What's a quality page? In a nutshell it's a page ranking well for certain keyword phrases, has some age behind it and an active social profile. Pages rank for a number of reasons, suffice to say if it's ranking well, it's doing something right and is a good place to secure links from. It's hard to definitely say the social aspect of things causes’ great algorithmic impact but my sense is this issue is being given more weight than we’re being told; it's just damn hard to prove. Plus, from a traffic and exposure point social can be huge; a site/blog with an active Twitter/Facebook presence is an asset, and one that can work to your advantage. If you're using article marketing and content creation tools as a way to attract links, you're probably not going to create the type of content quality sites want to host. The type of content those tools spit out tend to end up on low-quality blogs and/or in article directories, neither has much algorithmic weight behind them so you don't get the link popularity or content citations you're vying for. Why? To understand the "why" behind the question, we need to understand what link popularity is and how it's used to influence the way your pages rank. "Anchor text influences the queries your site ranks for in the search results." While the comment above was made in 2007 and recent events might make it seem like anchors are no longer a key ranking component that just isn't the case. Anchor text itself is the not problem when it comes to poor rankings, aggressive webmasters are. It's not smart to use the same anchor over and over, it never has been. From a marketing and SEO standpoint it's best to use a wide range of anchors and to use them sparingly. If it doesn't make sense to hyperlink a keyword phrase in your content - don't. Nothing says "SEO article here" like multiple hyperlinked keyword anchors in the middle that lead to the same page or pages that don't support the conversation. Make your content and your anchors conversational, if it makes sense to link out, do it. There's nothing wrong with hyperlinking a "click here" or "for more information" in the body of your copy, it helps with the flow of information and to mix up your anchors. Links to and from contextually relevant or thematically related sites/pages are supposed to convey more authority, relevance helps establish where you belong topically and/or geographically. You don't have to get links from pages in your keyword niches but it helps. Why? From an editorial standpoint, webmasters in the same/ancillary areas are more likely to link to other webmasters or pages that support their content. Like attracts like, the concept is the same here. The relevance component can be a key factor in the phenomena known as "negative SEO". If you're not familiar with the issue, read here and if you are, you know how easy it can be to have this happen to you. If you've always linked along in your topical and/or geographic niche and someone comes at you with tons of off topic backlinks, being able to fight back/defend your link history becomes easier. Stick to getting links from pages your demographic frequents and follow your history patterns. Question: Where should I put my articles - can I put multiple articles on one blog site and each will act as a link or does only one article per blog website count as a link? on topically or geographically relevant pages (relevance) ranking well. Sound familiar? 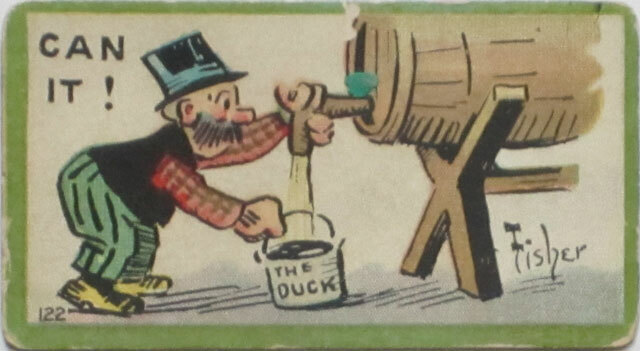 Problem is, hitting all four points is not easy, even for a seasoned linker. There is a very high probability quality blogs won't take basic/respun/or tool generated content, they have reputations and readership to satisfy. You'll have to go to a blog with a less discriminating palate and offer your content. As long as the blog and your post are in the index, you will receive some measure of link popularity but less than what you'd get from a well ranked topical blog. In link building, the ultimate goal is to get your links on pages ranking well for whatever terms you are targeting. Simple in theory, not so easy in reality so always strive to hit as many of the four link pop factors outlined for maximum results. There's nothing wrong with hosting multiple articles on the same site or blog but it's never a good idea to put too many link eggs in one blog basket. Spread the wealth, preferably on blogs within your area. You will have a wider audience and expand your link and social graph which works to help you algorithmically. 2) In which way should I spread my created articles across blog websites - am I correct in thinking duplicate use of article is a bad thing - each one should be unique? If you have the time and resources to develop unique articles, that is your best course of action. If you don't, reusing content is fine as long as it's different enough that anyone reading it won't be able to quote a sentence verbatim. The engines frown on content spread around for ranking purposes, Google has a page on this subject here. To be safe, freshen up your content with new material each time you drop it, include new images and video, change up the anchors and where they point. 3) Do keywords through an article's/blog's text (on a blog site not the promoted website)have any impact for link building or do only the keywords I attach to the posting matter? Anchors and on-page content are not the only ranking influences an engine uses, they each have multiple factors which include social and user-interactions. It’s best to use a wide range of tactics when you link and keep the four points of link popularity in mind as you work. While it is best to try and link between two topically or geographically related pages to reinforce your intent, unrelated linking won't hurt, it just doesn't help as much. We are always trying to come up with good content ideas to write about, but we would love to get your feedback on what you would like to read. Here is a Google Moderator page where you can submit SEO, marketing, link building, pay per click, domaining, search, webmaster, or blogging questions and/or topics that you would like us to write about. In addition you can vote on which topics you want us to cover. We can't write about everything, but we will try to write about many of the topics that are covered here. Question: How do I determine how I am best utilizing my PageRank? How do I know if my navigation is successful? Google Webmaster Tools shows your internal link counts to different pages. You can use that to show which pages are being emphasized on a crude level. 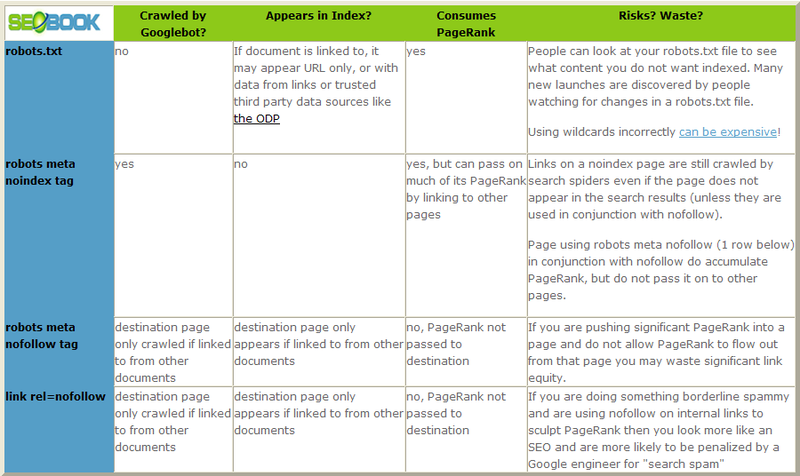 SEO4Fun has a free PageRankBot tool which shows internal link flow. I think it is a bit complex to set up, but is cool when you get it set up. Track a few pages of your site with a tool like CrazyEgg to see what links users are clicking on and if you are drawing enough attention to the most important assets on your site. Use analytics to track how many pages (and which pages) are pulling in traffic. Compare those pages with all the pages on your site to see if you can free up some dead weight, or if you have a valuable section of your site that is not well linked to. You can use Xenu Link Sleuth, a sitemap generator, or data from Google Webmaster Tools to see what pages are linked to (and perhaps getting indexed). If a particular page works well for you consider adding more content to that page to pick up a broader basket of related keywords. If a particular query works well for you consider creating a second page to target that query. If you have a high authority page that links out to many other websites consider adding more internal links to that page to keep more of the link flow internal. Question: How long does it take to rank a website? How many hour of work do I have to do each day to compete and rank my website at the top of the search results? Keep launching quality original content, keep working at brand building, keep making social connections, and watch the traction build. When you are new, can you predict what one idea is going to make the difference? For most people I don't think so. Some types of success are deliberate, but for most independent webmasters, I think they accidentally step into success by working hard, being ignored, and then watching something blossom that they did not realize the importance of when they first launched it. After you have some success then you can engineer further success, but for many it starts out as an accident or a byproduct of constant motion. If the search results are uncompetitive (use SEO for Firefox to survey the competitive landscape) you might be able to rank in a month even if your site is brand new. Is your site brand new? If so, how old are the top ranked competing sites. If they are a number of years old then it is probably going to take at least a year to catch up unless they are bad at marketing and link building or you have a great marketing idea that will help you build many organic links. If the companies that are ranking are multi-billion dollar corporations then you can't outrank them with a one man website unless your site is integrated into the conversation of that marketplace and/or your site offers valuable tools and/or original linkworthy content. If your site is brand new, you probably want to develop links over time in a fairly consistent manner. If you grow x links this month then you want to create x or more the next month. And that number sets the baseline for the following month. Months where you have no viral marketing ideas try to list your site in a few quality directories, join trade organizations, and get other clean links. If you are sitting on an older site you may be able to grow links a bit more aggressively, and you may be able to get away with being a bit more aggressive with the anchor text you use in the inbound links. In many regional search markets outside of the US the competition is much less fierce than it is in the US, and it is easy to rank for some fairly competitive keywords. An exact match domain name may also provide ranking benefits in some search relevancy algorithms, which allows you to rank quicker without needing to build up as much link authority. How many hours of work will it take? I have ranked sites on 5 hours of work, and I have put hundreds of hours of work into sites that do not rank as well as I want them to. How hard are your competitors working? If you are unsure track their current link count and their link growth. Also look for signs of public relation and the quality level of their inbound links. How big is their head start? How much are they investing? Are there ideas they forgot to focus on? Is your brand more focused than their brand? Are competitors weighed down by bureaucracy? Are you more passionate about your topic than the leading websites? Eventually people will discover that, especially if you are not afraid to market yourself. Question: We were thinking of mirroring our website by giving affiliates subdomains with our content like xyz.oursite.com. Is this a good idea or a duplicate content nightmare? Answer: Giving affiliates the same set of data is indeed a duplicate content nightmare, and it makes it hard for the affiliates to push their sites into the core organic parts of the web. If they have a product database and the same reviews and content that exist as the core branded site there is nothing remarkable about what they are doing. You can look back to this post on leaked human review documents to see how Google views affiliate sites. Instead of cloning all your content and giving affiliates access to that, I recommend encouraging affiliates write personal journals on their own subdomain. I would encourage them to promote your products and blog about topics other than your products. This will allow some of them to work their sites into the organic parts of the web while encouraging them to write content interesting enough for people to want to subscribe to it. Sure some of the affiliates will not get much traction, but enough of them try it a few will, and they will boost your brand whenever people visit their sites. You can include a bunch of Wordpress themes and extensions with their blogs, create a free guide to blogging, create an affiliate directory, and other offers that make it easy to get affiliates into sharing information. Maybe even install a Vbulletin forum and write a blog just for your affiliates. Bonuses to further entice a sense of community might be highlighting daily or monthly top posts, offering free design services to top affiliates, giving away prizes like link building, and interviewing some of your better affiliates in a monthly community newsletter. Creating a platform for sharing passion is a much better affiliate strategy than duplicating content is. Feel free to ask any SEO or internet marketing related questions and I will try to answer them below. I prefer to answer broader industry questions than site specific questions. It can take a day to do a strong site review, and I could miss a lot of things that are wrong if I give your site a 5 minute once over. Questions like "I have a new site and want to know where to start with link building" are better than comments "please review everything about my site". Also I can't guarantee that I can do anything to get your site unpenalized by Google if you were recently penalized.